One year after Hurricane Maria barreled into Puerto Rico, UNICEF USA is still on the ground assisting recovery efforts in storm-damaged communities. It’s been a year since Hurricane Maria devastated Puerto Rico, and while many children and families are still reeling from the effects, recovery efforts have made some progress. Michelle Centeno, UNICEF USA’s Manager for Humanitarian Emergencies and Executive Communications, visited the island earlier this month to observe the impact of ongoing assistance efforts, and the launch of a new nutrition program for children. I continue to be inspired by the people of Puerto Rico. Their strength and resilience in the face of hardship, their sense of hope as they rebuild their lives in the wake of devastation — it truly gives me hope. A year has passed since Hurricane Maria barreled through the island, knocking out the power grid, destroying thousands of homes, leaving families scrambling for food and water. Many people died because they couldn’t access vital health care. It has been a year since Hurricane Maria slammed into Puerto Rico, trapping millions in a disaster zone. Recovery is progressing, slowly but surely. When I returned in early September to the place I have come to love more and more throughout the course of managing UNICEF USA's response, I could see that recovery was progressing, slowly but surely. It's like I've seen the forces of nature fall apart, and put themselves back to together, healing. When I returned in early September to the place I have come to love more and more throughout the course of managing UNICEF USA's response, I could see that recovery was progressing, slowly but surely. The purpose for this trip, one of many, was to help kick off our nutrition program — a joint effort between UNICEF USA and the Boys & Girls Clubs of Puerto Rico (BGCPR) to serve warm and healthy meals to children who would often otherwise go without. The program will reach a total of 1,700 children across 13 club locations every day for the next year. Before launch, kitchens were renovated and community gardens planted. This was not our first deployment. When Maria swept through on Sept. 20, 2017, UNICEF USA acted quickly to mobilize the distribution of emergency supplies. That effort helped catalyze broader recovery assistance activities on the island that continue today. In those early weeks and months, we worked with the Puerto Rico Recovery Fund and local partner organizations, leveraging UPS's expertise to get hygiene kits and other supplies to some of the most vulnerable children and families. These kits contained toothbrushes and toothpaste, soap, water purification tablets and other items. Many who received the kits told me how much they appreciated them. With so many blocked roads and collapsed bridges, most store shelves were empty. Relief supplies had been piling up in ports and in warehouses. Finding food was also a challenge. But it had been this way for many, even before Maria. That's why, with our nutrition program, we're taking it further, focusing on the broader needs of vulnerable children and families, with an eye toward sustainability. Finding food was also a challenge. But it had been this way for many, even before Maria. That's why, with our nutrition program, we’re taking it further, focusing on the broader needs of vulnerable children and families, with an eye toward sustainability. The industrial-grade kitchens and community gardens that our support helped put into place will continue to serve children in need for years to come. No child should have to worry about where her next meal is coming from. 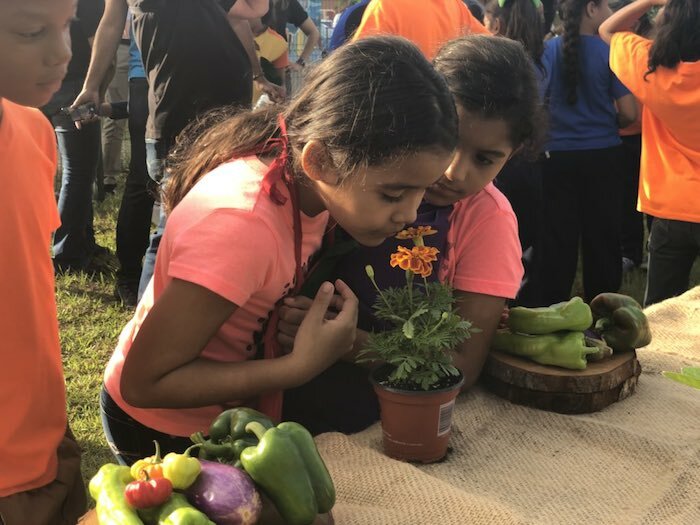 That's why UNICEF USA partnered with the Boys & Girls Clubs of Puerto Rico to create the new nutrition program. For many children, the nutrition program is a lifeline, offering nourishment for the mind, body and soul. Being able to sit down and eat a meal together fosters a sense of community among these kids who have been through so much. For many children, the nutrition program is a lifelife, offering nourishment for the mind, body and soul. One afternoon at the Boys & Girls Club facility in Las Margaritas, I saw 7-year-old Noyaris, a little girl whom I had met during a previous visit back in December. The day we first met, all she could talk about was how hungry she was. It broke my heart to hear. No kid should ever have to worry about where her next meal is coming from. And now here she was again, visibly transformed: playing and dancing around with her friends, happily digging into her plate of chicken, rice and vegetables, going for seconds, offering juice to her friends and me. Much different than the sad, anxious little girl I met last year. In addition to seeing our nutrition program take off, I was able to connect with some of the families whose storm-damaged homes had been repaired through a UNICEF USA-supported rebuilding effort organized by the New York State Governor's Office. I went to Barranquitas, where 9-year-old Sofia showed me the new roof on her family's home, installed with help from student volunteers. As part of a rebuilding effort supported by UNICEF USA and the New York State Governor's office, student volunteers from New York traveled to Puerto Rico this summer to repair homes damaged by Hurricane Maria. The needs remain great in many communities of Puerto Rico. When children experience something as traumatic as a Category 5 hurricane, it can have long-term consequences. Seeing their homes wrecked, the lights go out and the water taps run dry; having their schools stay shut, seeing their parents out of work, and friends and neighbors give up and move away — it all takes a toll. Leveraging expertise in addressing and mitigating child trauma, UNICEF USA is providing psychosocial support training to many community leaders across Puerto Rico. We are sharing some of the same tools and strategies that we used in Houston after Hurricane Harvey, including ways to recognize a child in distress, and help them through it. It’s not uncommon for the kids who attend the Boys & Girls Clubs every day, who do homework or play basketball or simply connect with their peers, to also show signs of stress, having recently lived through an event as catastrophic as Maria. The club leaders who received the training tell me they are more confident in their abilities to recognize the signs and respond more effectively. 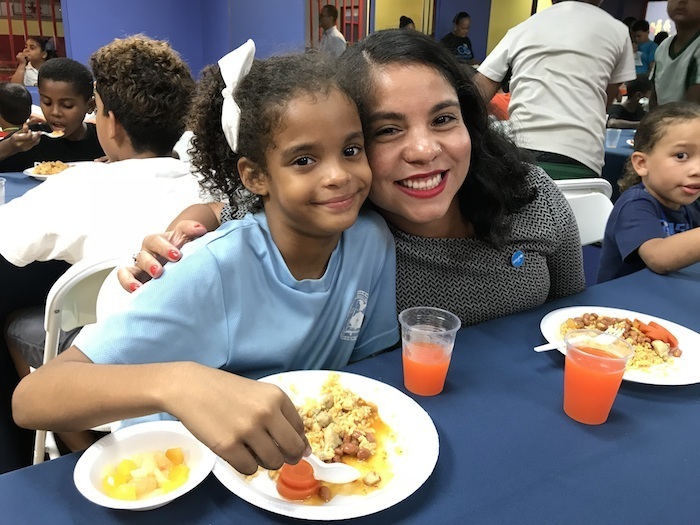 At the Boys & Girls Clubs of Puerto Rico, children can have fun and just be children again, even as their families are still recovering from the devastating aftermath of Hurricane Maria. Given the scope of its mission and mandate, UNICEF typically only operates outside the United States and its territories, with UNICEF USA and other national committees providing fundraising and advocacy support for those activities. But given the impact Maria had on Puerto Rico, and the level of need among the people there — and given the groundswell of support for Puerto Rico among our donors and constituents — we knew we needed to act. To put children first, and restore their sense of normalcy, so that children can be children. For many kids in Puerto Rico, the future remains uncertain. So we must keep doing what we can to make sure they stay healthy, safe, protected and hopeful. Learn more about UNICEF responds to hurricanes and other emergencies around the world.